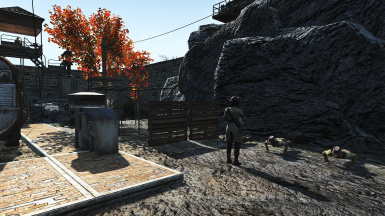 Outpost Zimonja Minutemen settlement created from my Nora campaign. 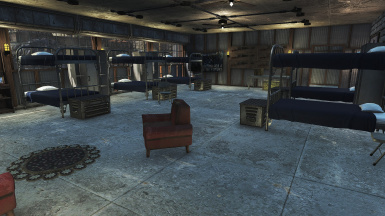 Features a barrack with commissary, armory and cell holding rooms. 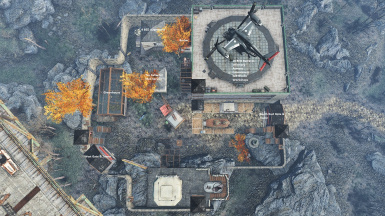 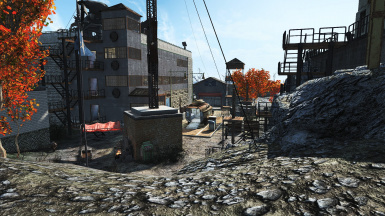 A large military themed settlement used primarily as a training ground for Minutemen recruits as well as a staging point for its operations in the North of the Commonwealth. 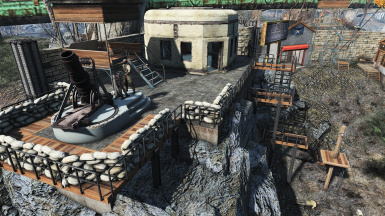 This is my Outpost Zimonja settlement blueprint using the Transfer Settlements﻿ utility. 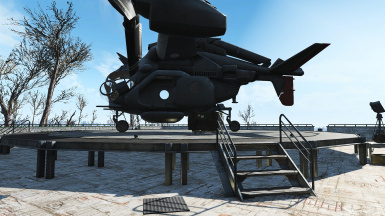 It goes directly into Slot #4. 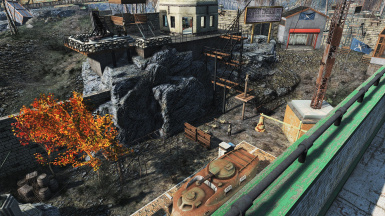 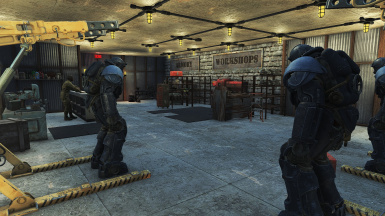 The workbench was moved into the Barracks, 3rd floor where the Armory / Power Armor storage is located.